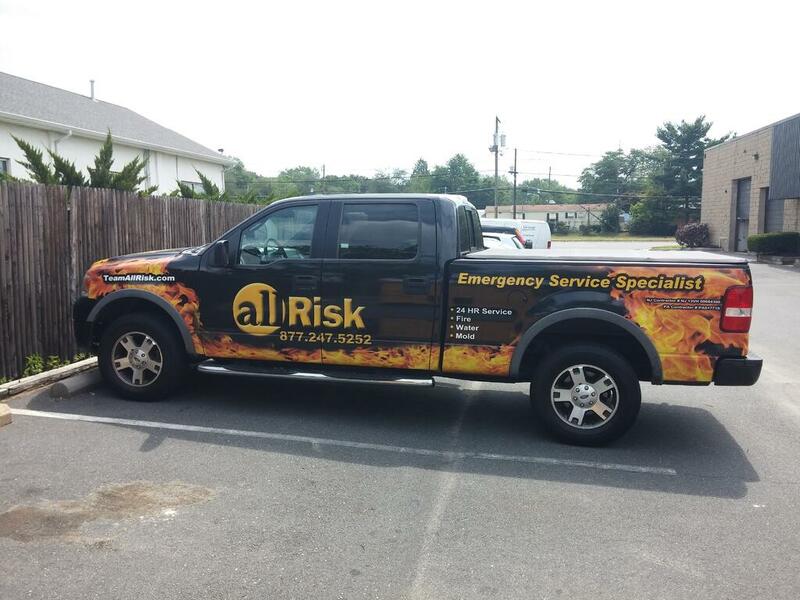 With a dedicated team of 65 employees, a robust emergency response fleet and over 1,000 pieces of equipment, AllRisk is one of the largest and best equipped firms on the East Coast. 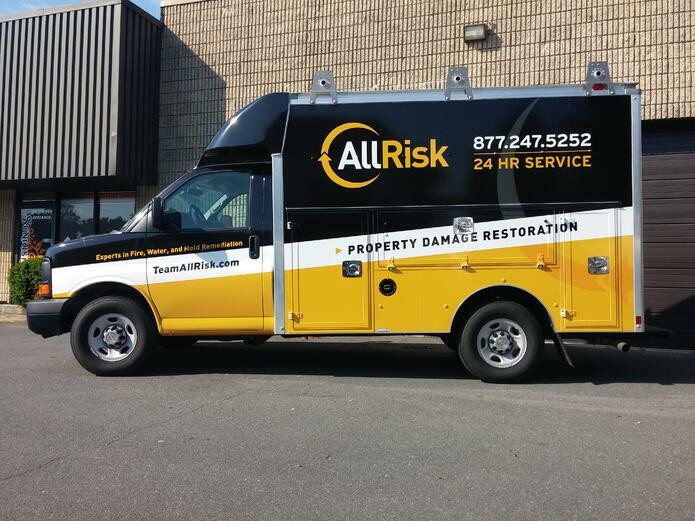 They offer 24/7 emergency service in the event of property damage caused by fire, smoke, flood, sewage-backup, water, mold or structural collapse. 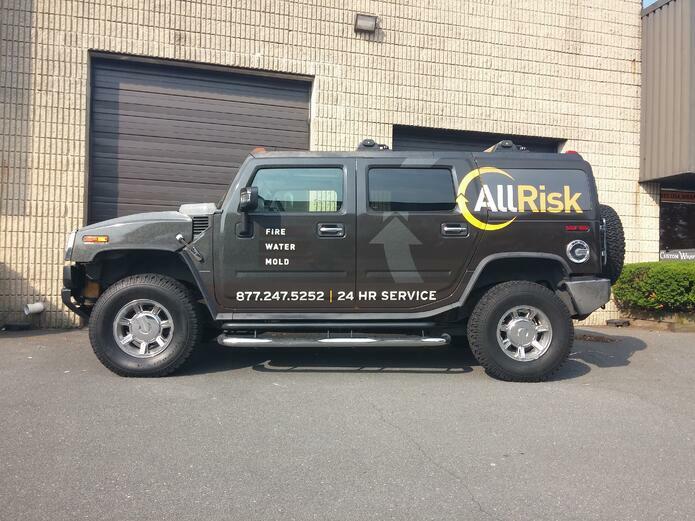 AllRisk had partnered with a marketing company to help them rebrand their company. This included a new website, logo, and other graphic elements. The new artwork and branding focused on a professional look, based on clean lines and clean colors. 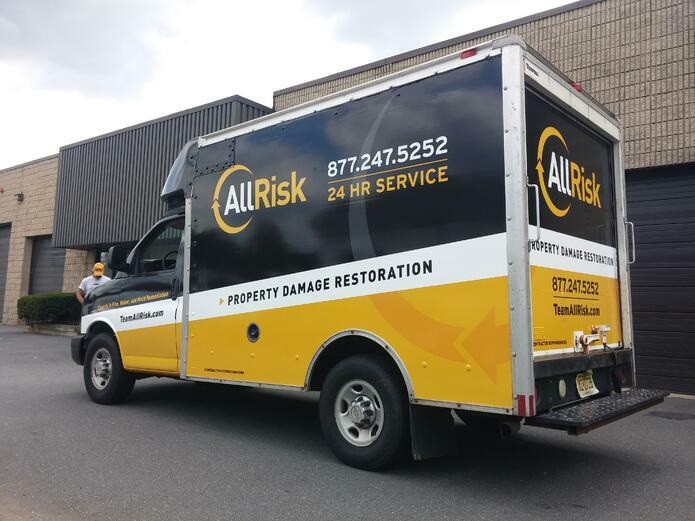 Sunrise Signs had provided the previous vehicle branding for AllRisk, and we were all too happy to help them out again to rewrap their fleet. With a large fleet made up of different vehicles, it was one of our top priorities that the branding remain consistent from vehicle-to-vehicle. Their fleet had smaller Chevy HHR’s and Silverado Pickups, moving all the way up to box trucks carrying specialized restoration equipment. 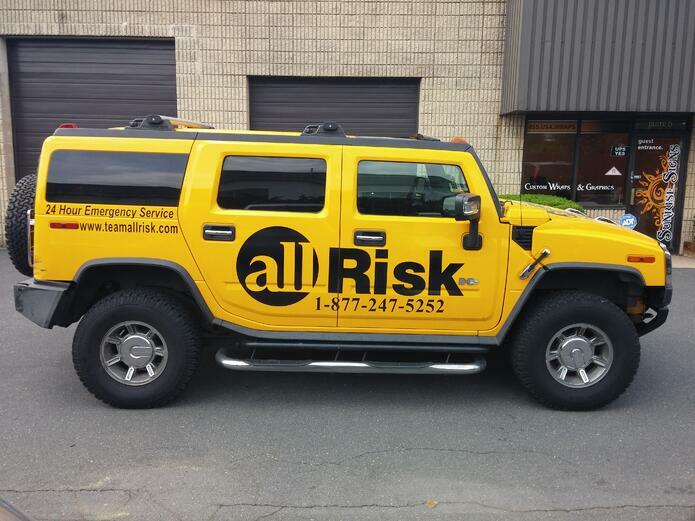 Our design team worked with AllRisk’s marketing department to set up and appropriately scale the artwork to match all the different vehicle body types. 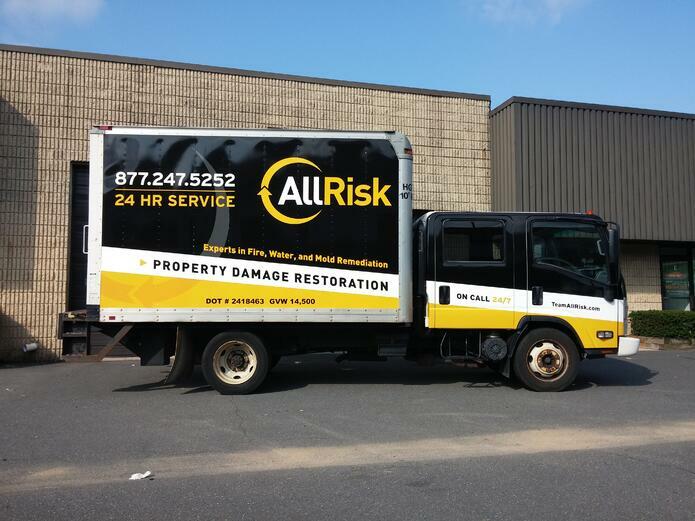 Wrapping and rebranding fleets is our specialty here at Sunrise Signs. 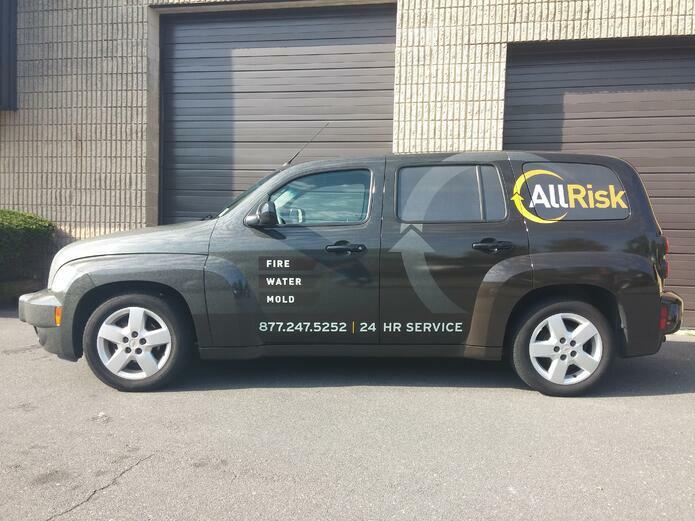 We understand that with any client, turnaround and timeliness is essential, but all the more so with large fleets. 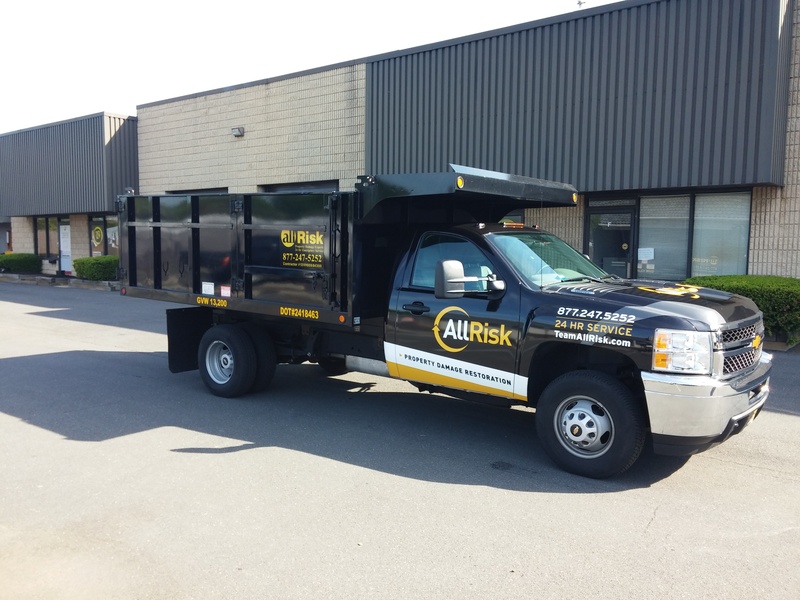 We worked with AllRisk to accommodate their driver’s schedules, and planned their installations back-to-back whenever possible. This helped save time and money by only having to send one driver to swap out the vehicles. 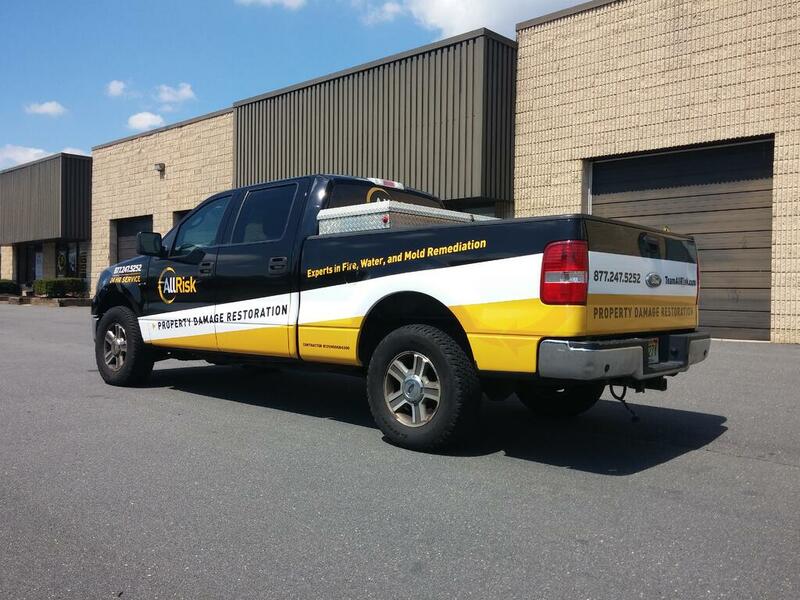 In total, we wrapped 26 vehicles for the company during the rebranding process. 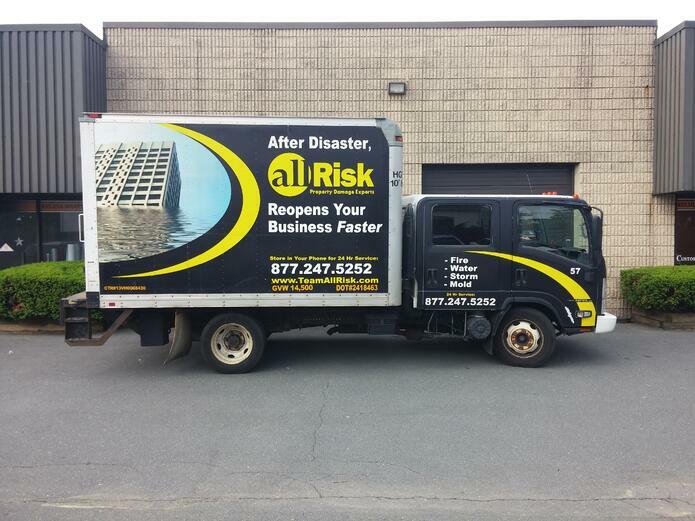 ...the new truck wrap design! 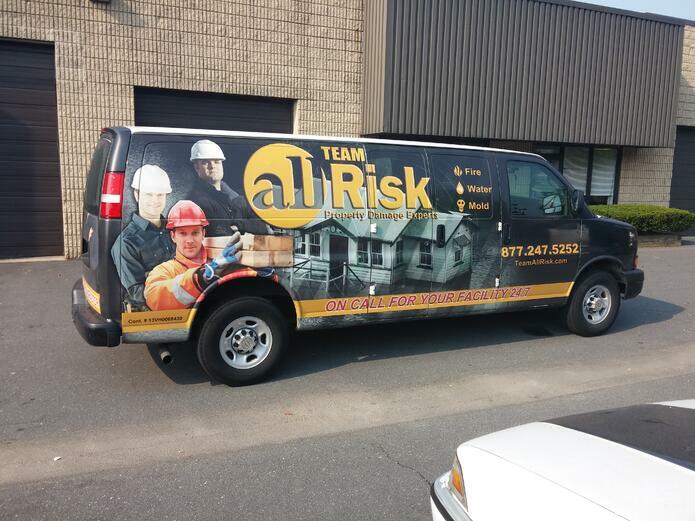 ...the new box truck wrap! ...a new dump truck ready to join the family! In addition the fleet of service vehicles, there were a few specialized sales vehicles that would be getting a different wrap design. 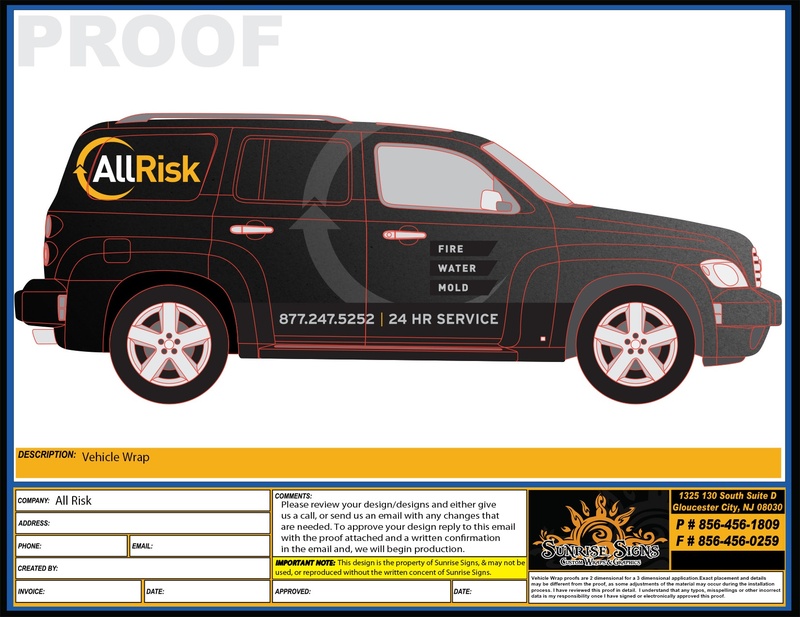 We worked directly with the marketing company to help create a layout that would look good, while still contouring to the lines and elements of the vehicle. ...the new sales Hummer design! ...and a sales Chevvy HHR design! 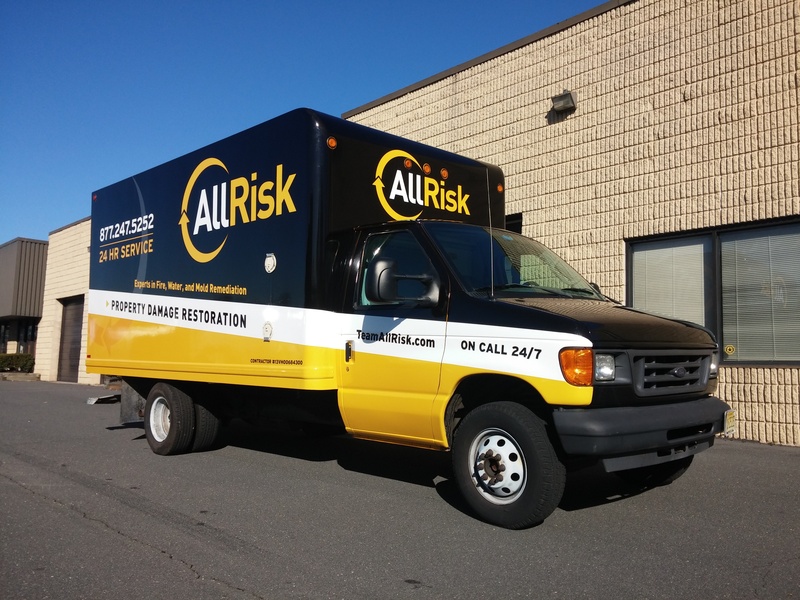 To add a nice compliment to their vehicle branding, we also produced some tradeshow displays and promotional materials for AllRisk to use at events and for marketing opportunities. 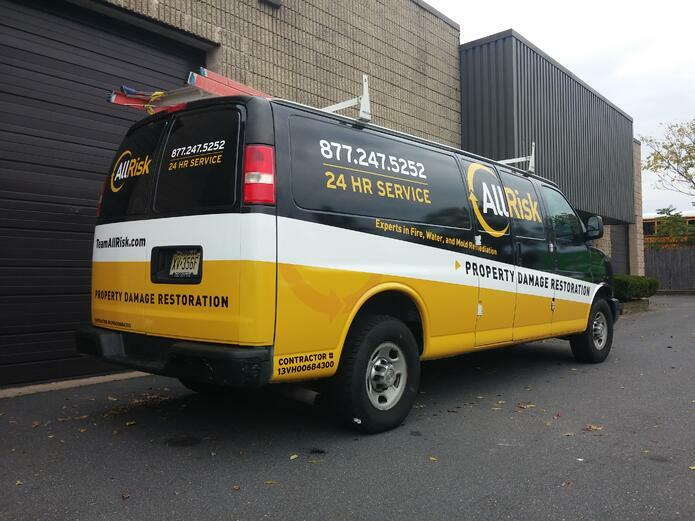 As you can see, after their rebranding the AllRisk fleet gained a clean and professional consistency that reaches across all their vehicles. 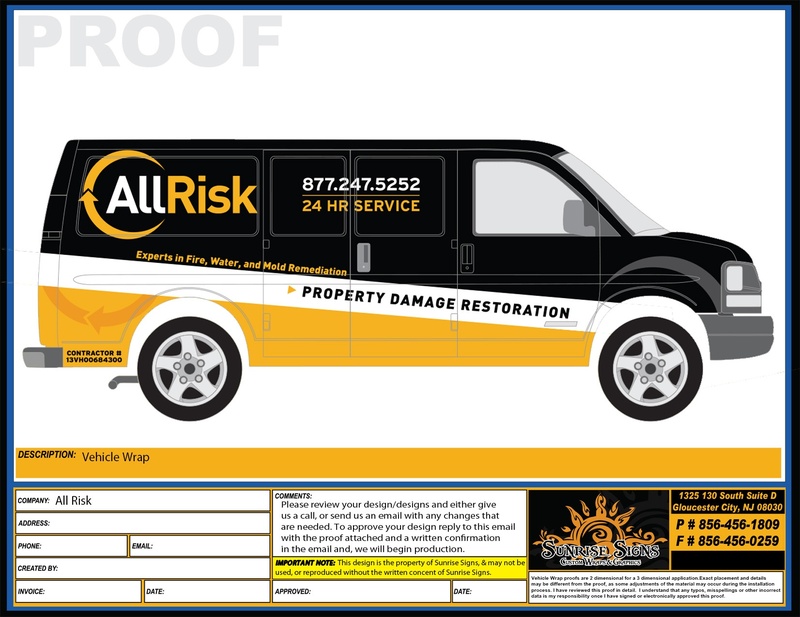 It was our favorite kind of project here at Sunrise - a big fleet rebranding that gives a company a new brand and image. 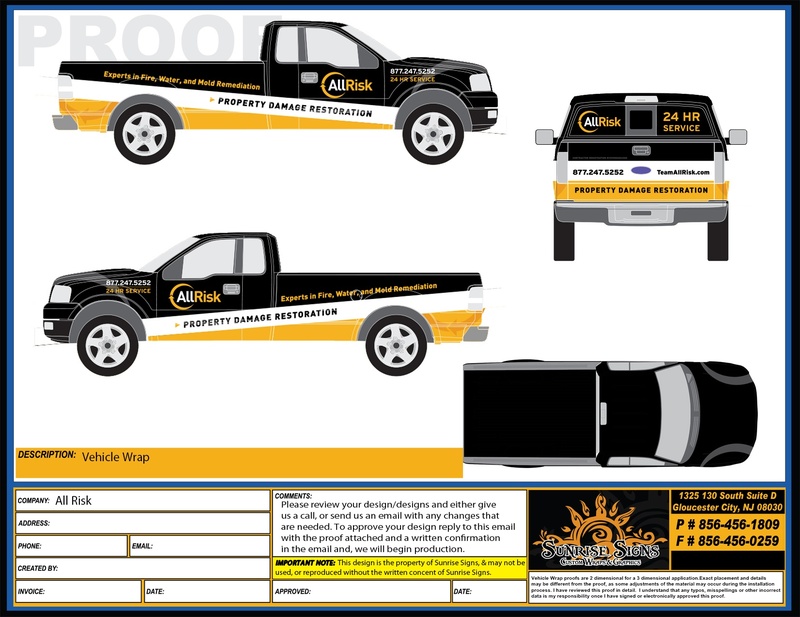 Do you have a vehicle fleet you would like to get branded? Time to rebrand? Give us a call at Sunrise Signs and we'll make it happen!